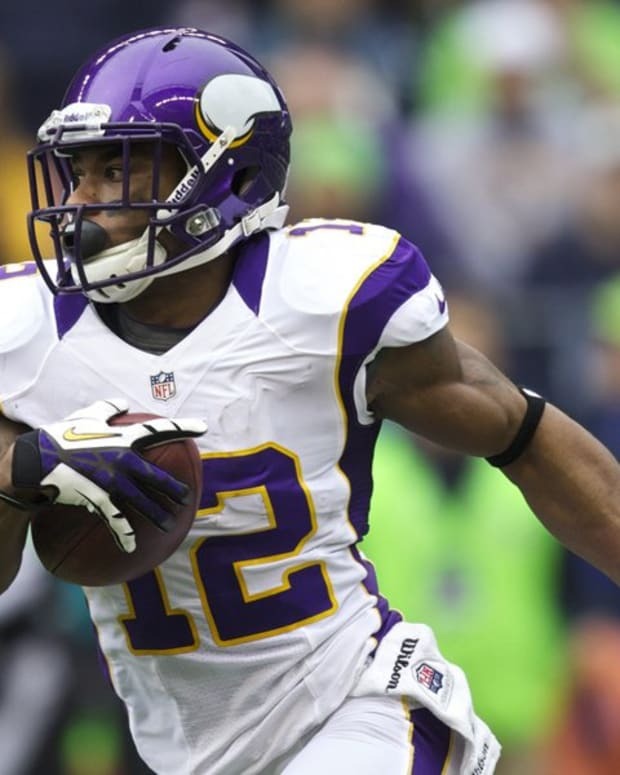 How Much Will the Vikings Miss Percy Harvin? In a surprise move this week, the Minnesota Vikings sent Percy Harvin to the IR - ending the explosive wide receiver’s 2012 campaign. There is no doubt that the Vikings will sorely miss Harvin, who was far and away the team’s leader in both receptions and yards. Despite missing the last month, Harvin has 17 more receptions and 265 more yards than the Vikings next leading receiver, tight end Kyle Rudolph. That about sums up the Vikings’ pass catching issues. Quarterback Christian Ponder went through a 38-minute period in last week’s game without completing a pass, and Harvin’s absence can’t be seen as an unrelated factor. 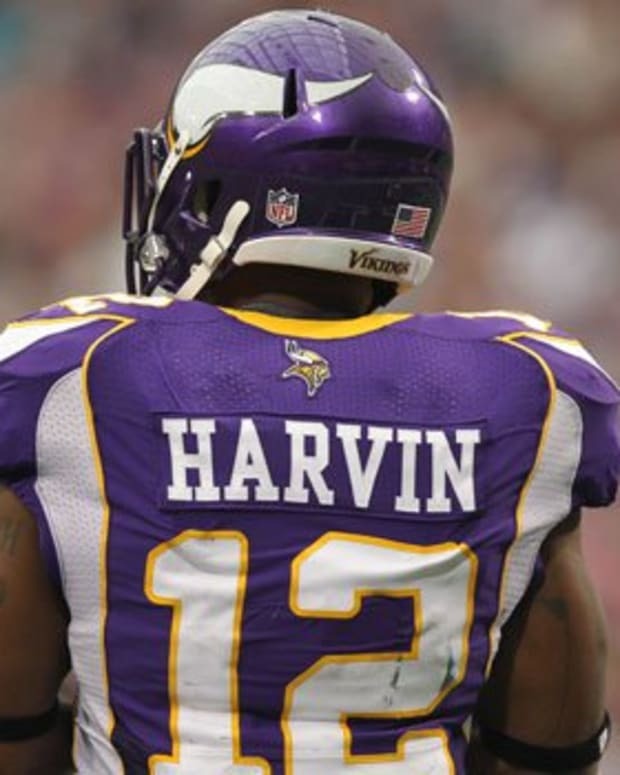 Harvin’s big play ability has left a noticeable void in Minnesota’s offense. Adrian Peterson is putting the Vikings on his back, but it’s just not enough. Despite having a running back who has been nearly impossible to contain, the Vikings have had offensive struggles due to the obvious lack of an air attack. Including the November 4th game against Seattle where Harvin injured his ankle, Ponder has thrown for 63, 221, 159, and 119 yards in his last 4 outings. High school teams with Adrian Peterson-caliber running backs can average 140.5 yards passing and coast to victories, but life ain’t that easy in the NFL. Without Harvin the Vikings’ receiving corps is embarrassingly thin. After Harvin the next receiver on the depth chart is offseason free agent signee Jerome Simpson. Simpson has been a major disappointment and has struggled with route running and hanging onto passes. The very next receiver on the depth chart is speedy rookie Jarius Wright, who has shown potential but remains very raw. To put it in perspective, 43% of Wright&apos;s career yardage came on a 54 yard touchdown against the Lions. It only gets worse with Devin Aromashodu and Michael Jenkins constituting the remainder of the Vikings receivers, who haven’t been able to crack the rotation very much. That tells you what you need to know about these two guys. Simply put, it’s not looking good for Minnesota the rest of the way. Some in the Minnesota sports media are saying that the Vikings’ lack of receivers is actually going to buy Ponder more time to prove himself. Apparently Vikings’ personnel think that no quarterback should be judged based on the receivers they are fielding, which also indicates that Minnesota is going to make offseason moves via free agency or the draft to acquire some more talent. As for this season, Minnesota desperately needs to find a way to get their receivers the ball if they want to finish out the year as a competitive club. NFL Rumors: Vikings to Resign Percy Harvin? 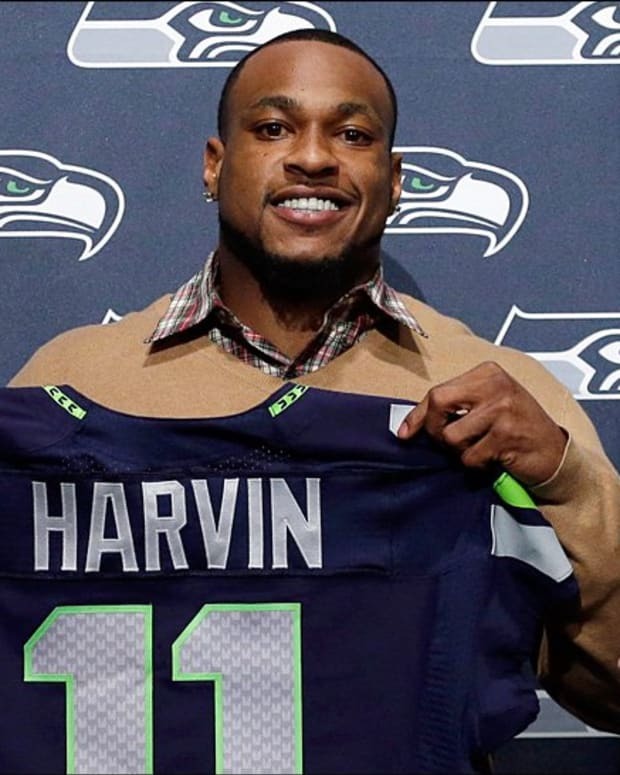 Percy Harvin to San Francisco 49ers? What Impact Will Percy Harvin’s Injury Have on Seattle Seahawks?